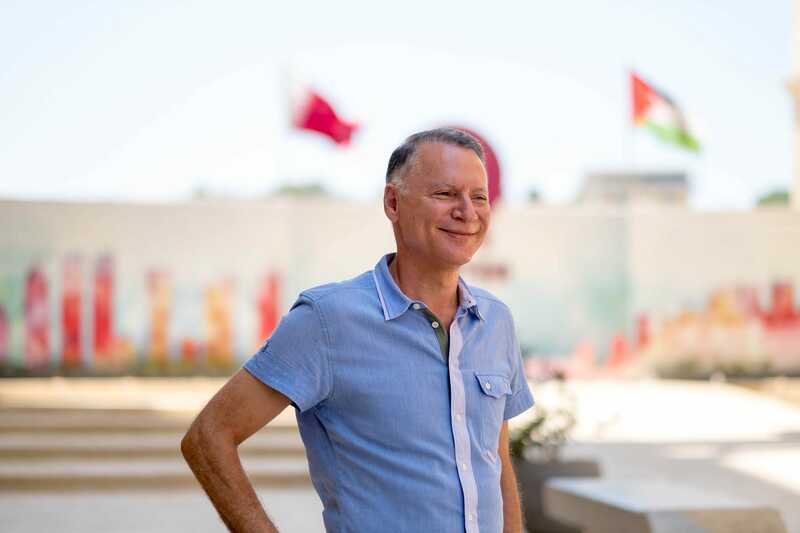 Harrison Jacobs/Business InsiderBashar Masri sees a new future ahead for Palestine. The $US1.4 billion project is the brainchild of Bashar al-Masri, a Palestinian-American billionaire. 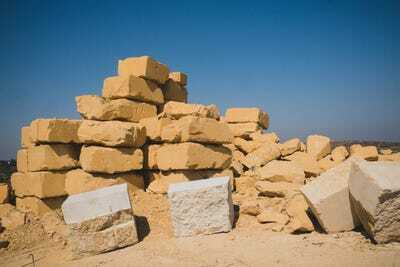 Masri hopes the city can form the economic backbone of the nascent Palestinian state. 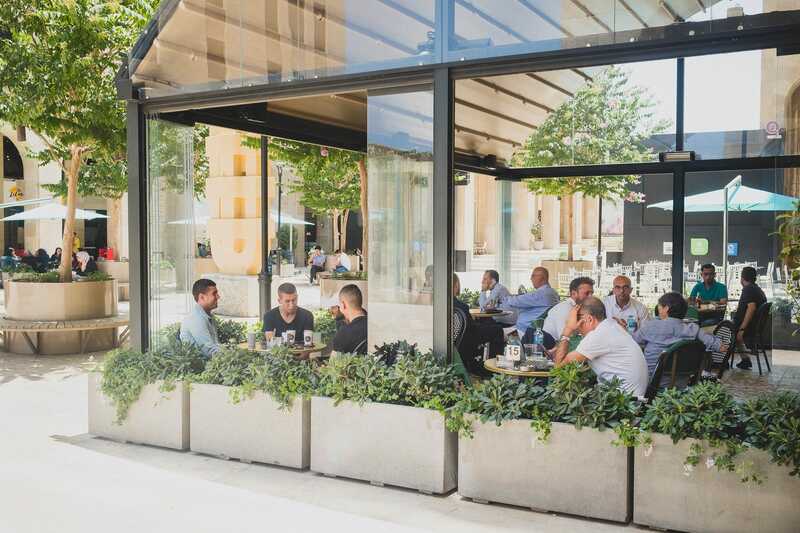 As I sat in a French cafè al fresco, chatting with Palestinian-American billionaire developer Bashar al-Masri, it occurred to me that I could be anywhere. But I wasn’t anywhere. 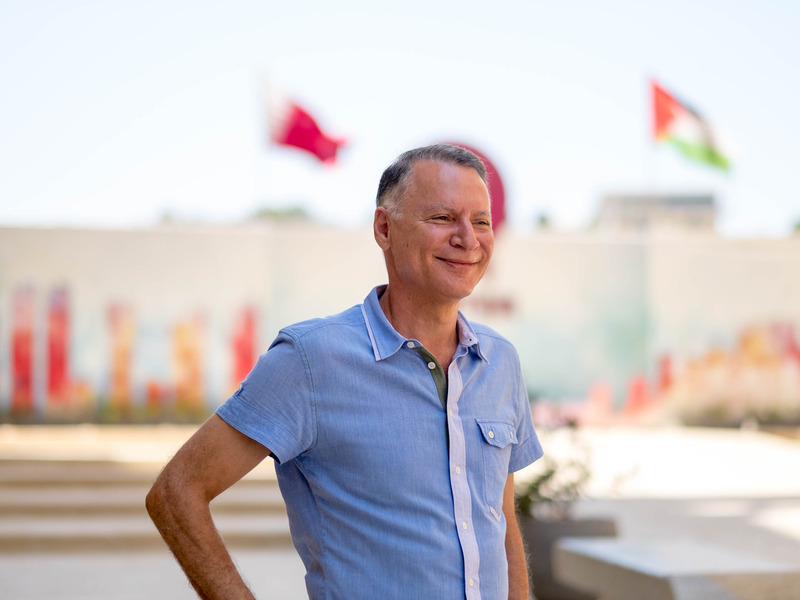 I was in the West Bank, the occupied territory home to 2.6 million Palestinians, 400,000 Jewish settlers, and scores of Israeli soldiers. 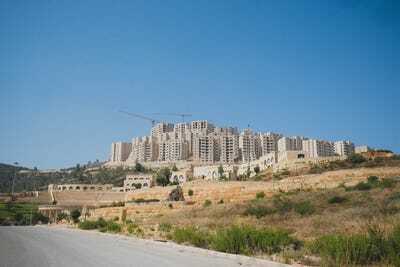 More specifically, I was in Rawabi, a $US1.4 billion planned city constructed to serve as a model city for the new Palestinian state. At least, that’s according to Masri, who came up with the plan over a decade ago. Masri believes Rawabi, whose master plan calls for housing for 40,000 and everything from a nightclub to a hospital, could form the economic backbone of Palestine. “A Marshall Plan to pick up the economy,” said Masri, noting the West Bank’s 18% unemployment rate and moribund economy. At first, sitting in the mixed-use public square that forms the heart of Rawabi, I couldn’t shake the feeling that I might as well be in Maryland, where such shiny new developments abound. 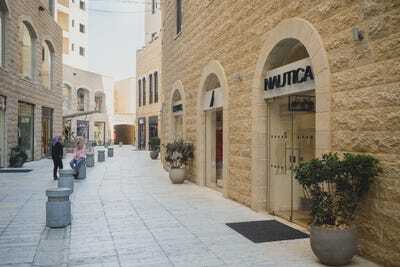 But as we sat, Masri pointed out the details: the pedestrian town center and the tiled walkways are based on the old cities of Nablus and Hebron, the city has five gates like the old city of Jerusalem, and the corniches and arches are drawn from Arabic architecture. Above us towered American-style office buildings. 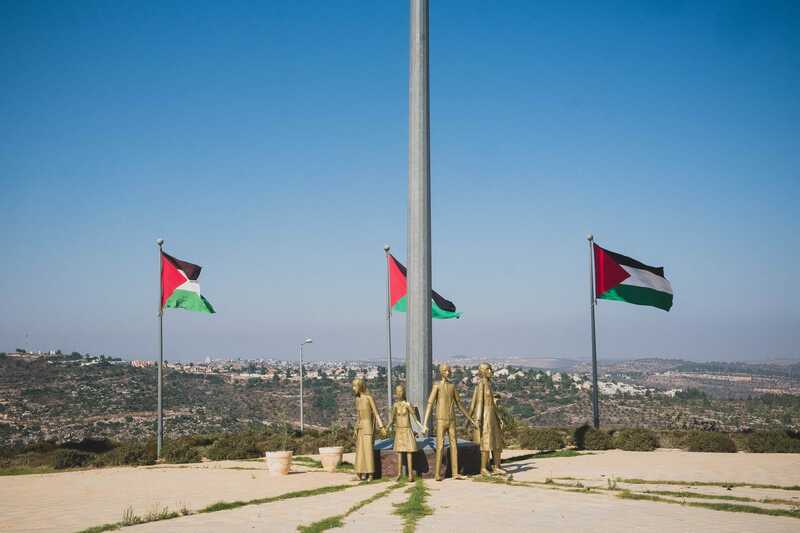 Rawabi has received criticism from Palestinian activists who say it sugarcoats the occupation and Israelis who worry about having a large Palestinian city near Jewish settlements, but ultimately the success of Masri’s vision will rest with the Palestinian people. Are they interested in what he’s selling? 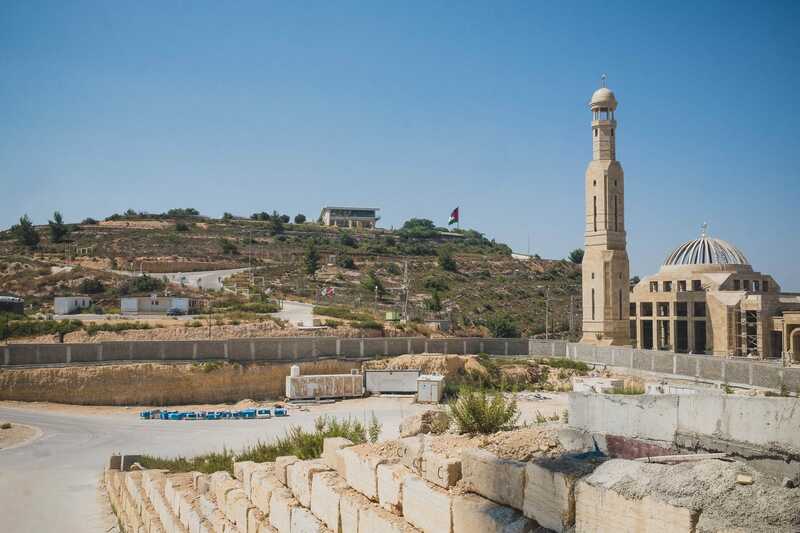 Rawabi is the first planned city in the West Bank built by and for Palestinians. 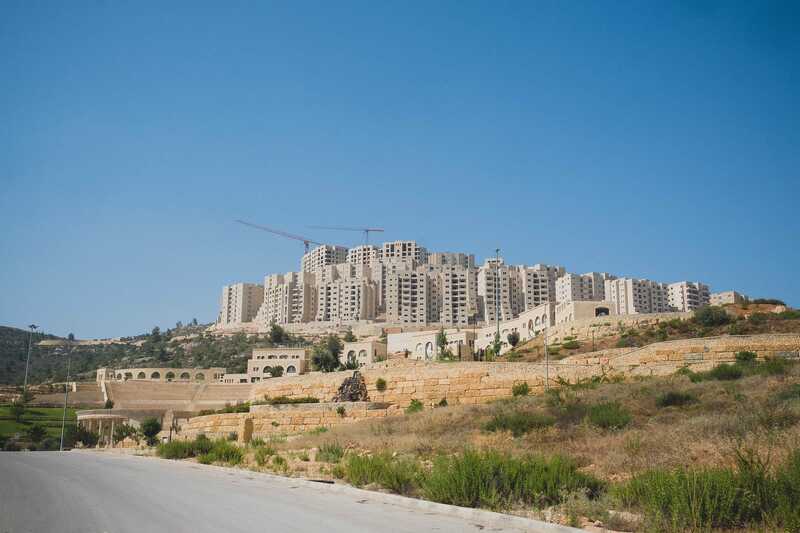 With a price tag of $US1.4 billion, it is the largest private sector project in Palestinian history. 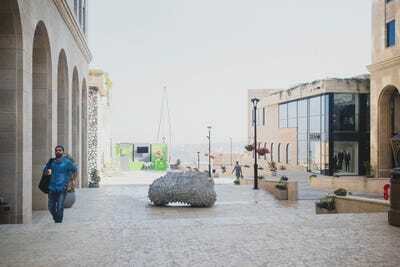 The project is the brainchild of Bashar al-Masri, a Palestinian-American billionaire who made his fortune on building projects in Morocco, Jordan, and Egypt. 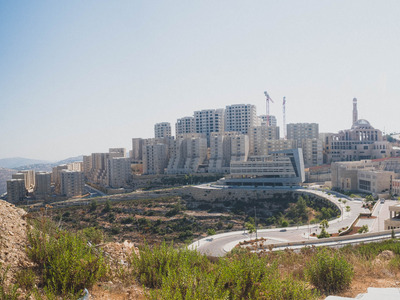 While Masri told Business Insider his goal is to make money, he hopes that Rawabi serves as a model for future Palestinian cities and economic projects. 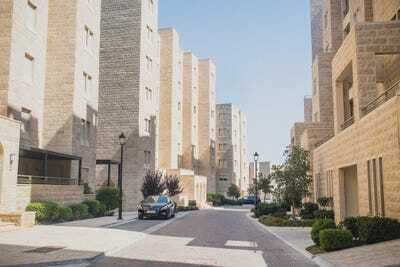 The master plan calls for building 8,000 apartments across 22 neighbourhoods with a population of about 40,000. So far four neighbourhoods have been built and approximately 4,000 people live in the city. 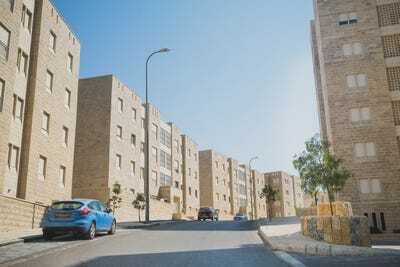 Rawabi is aimed at upwardly mobile middle-class Palestinians. It has all the services and amenities that would be impossible to find in Ramallah, the de facto capital of Palestine, and the surrounding towns and villages. The prices of apartments, which range from $US70,000 to $US180,000, are cheaper than Ramallah, but still a fortune for most Palestinians, according to Jack Nassar, a Rawabi spokesperson. 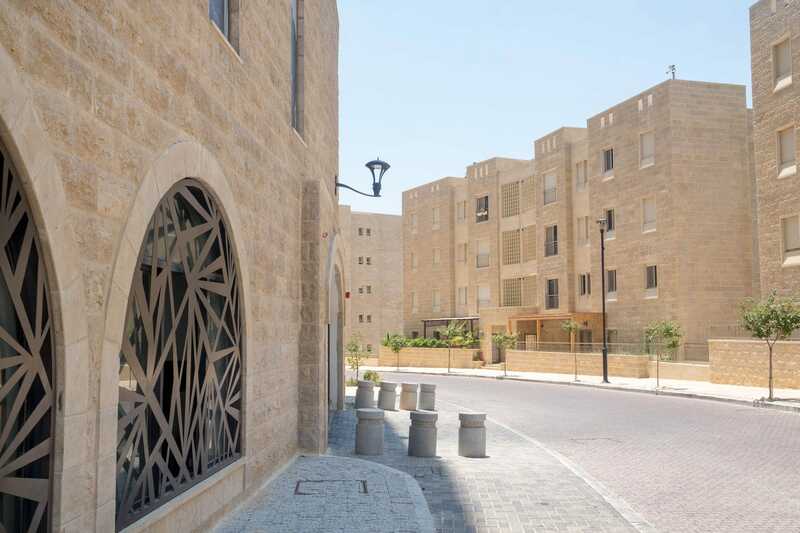 But, Rawabi has had no trouble with demand for buyers, according to Nassar. 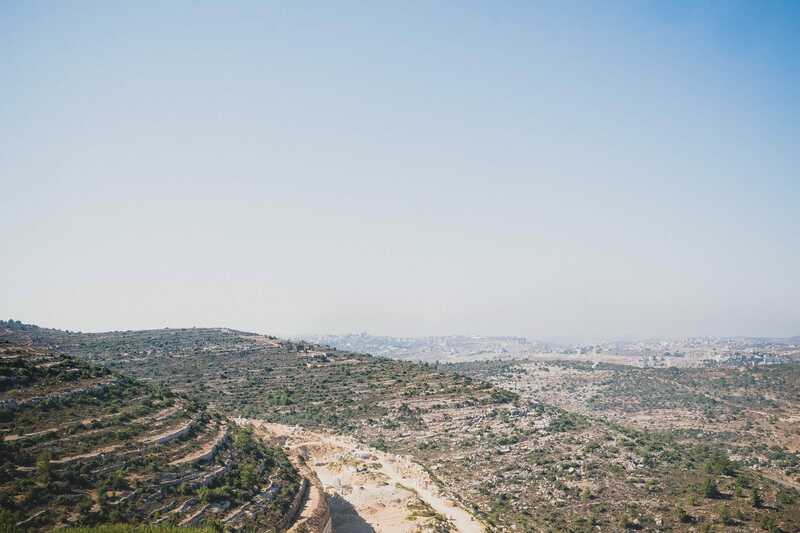 Though the city is still in its infancy — people only began moving in August 2015 — there is nothing quite like Rawabi in Palestine. The city is centered around the Q Center, a public square flanked by office towers, luxury shopping, cafes, and restaurants. 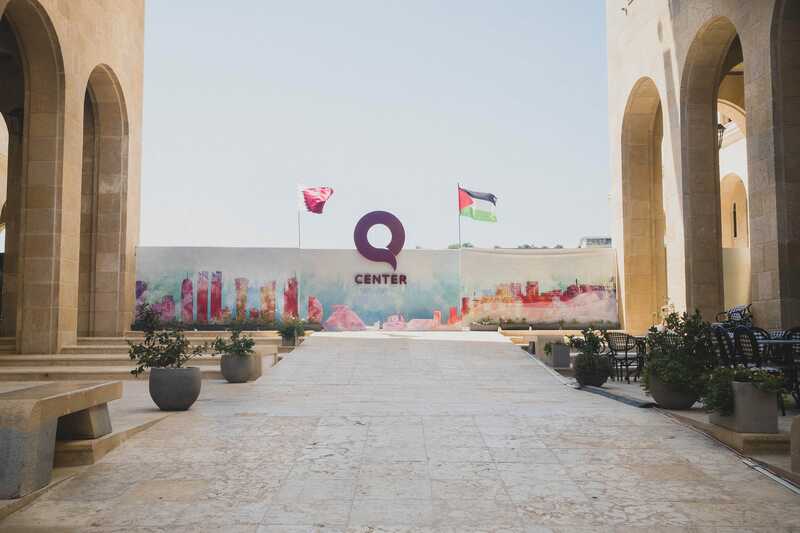 It’s called the Q Center because the project’s main investor is Qatar’s Diar Real Estate Company, a sovereign wealth fund that put up two-thirds of the money. The open-air mall surrounding the Q Center has a cinema, cafes, restaurants, and two dozen stores selling everything from designer clothes to sneakers. 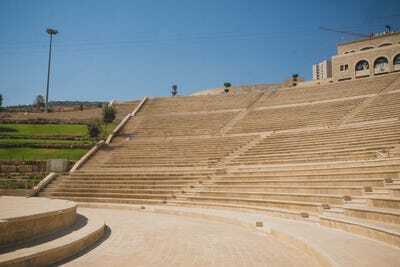 There’s a 15,000-person Roman-style amphitheater for concerts and Broadway shows. 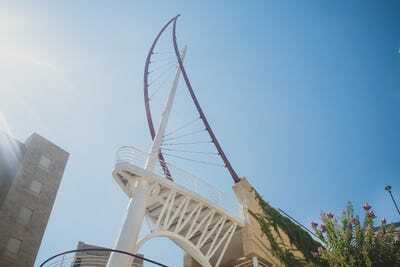 Nassar said the plan is to line the top of the amphitheater with restaurants, bars, and a cafe so attendees can enjoy dinner or a drink before a show. 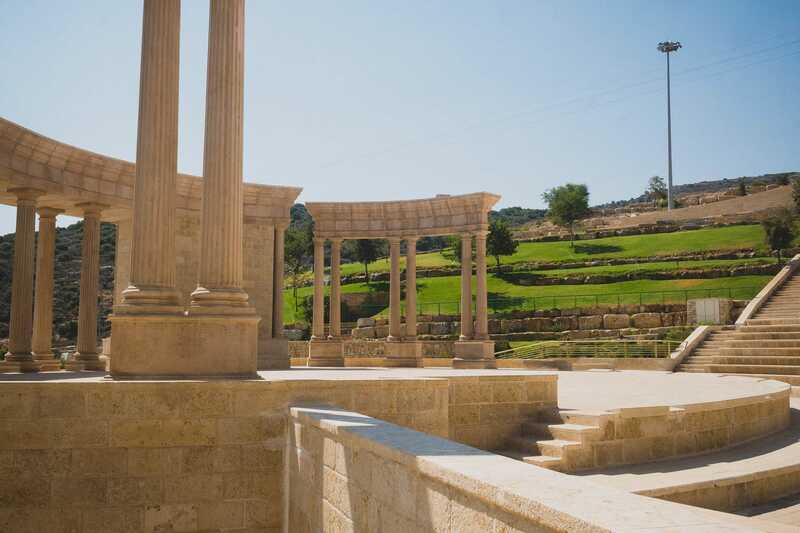 The theatre has already hosted several sold-out shows featuring singers from Jordan and Tunisia. 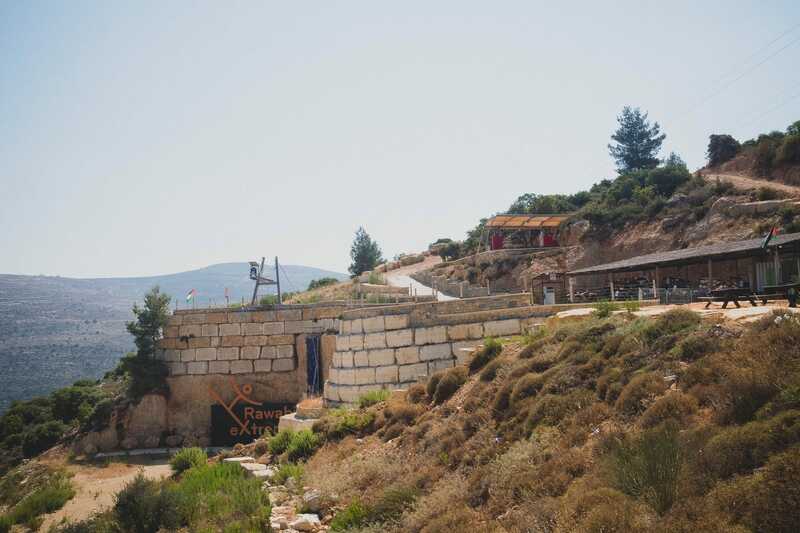 There is a extreme sports park with ATVs, bungee jumping, a zipline, and a climbing wall. 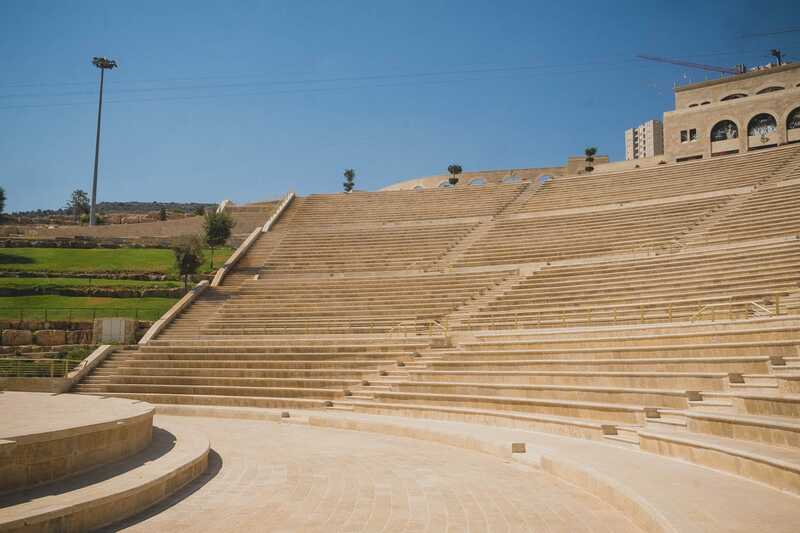 Facilities and services like the ATVs and the amphitheater have been a large draw for visitors to Rawabi from Jerusalem, the West Bank, and Israel. There are plans to have eight schools. 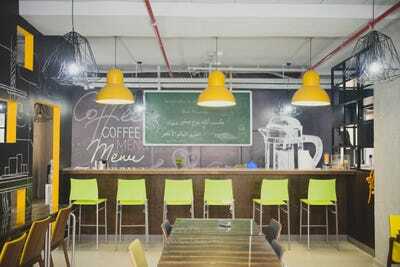 Currently, only the British-style Rawabi English Academy is operating. There are also plans for a hospital, a hotel, and a nightclub. The city has a mosque under construction that has a capacity for around 2,000 worshippers, according to Nassar. Rawabi is a symbol of Palestinians “defying the occupation,” according to Masri, simply by existing. Sometimes in literal ways. 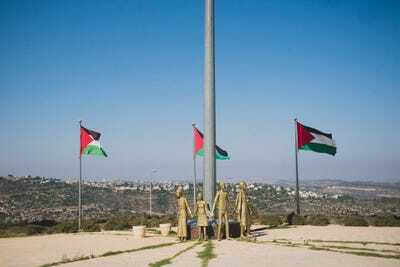 The Palestinian flag that sits on a hill atop the city is the size of a living room. Construction on the project began in 2010. 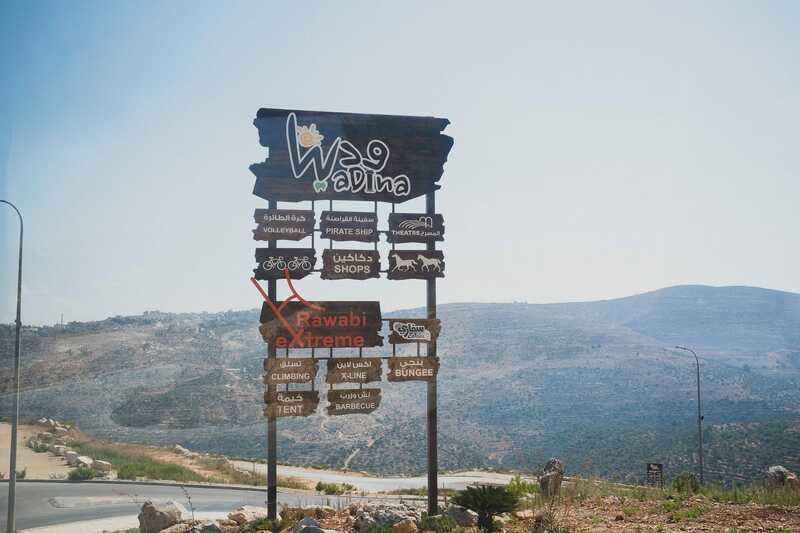 About 85% of the cement to build Rawabi came from an Israeli company, which drew criticism from some Palestinian activists. 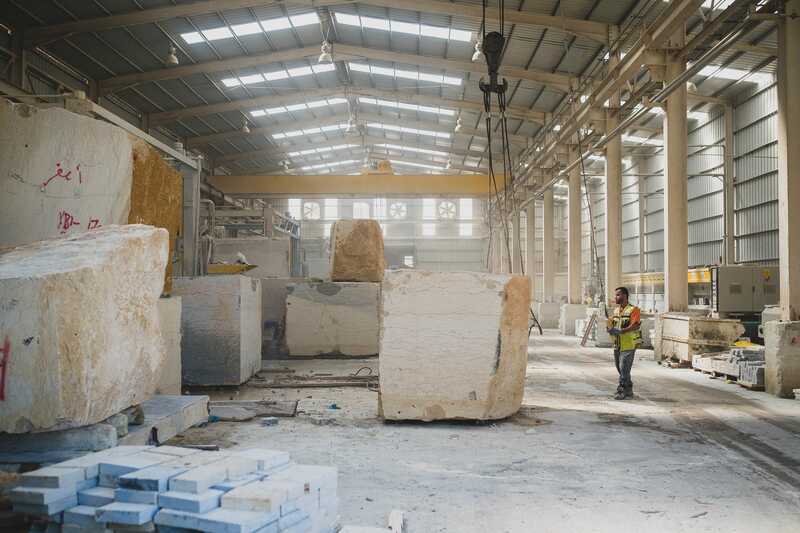 But all of the stone for the project comes from an onsite quarry and is shaped at an adjacent factory. 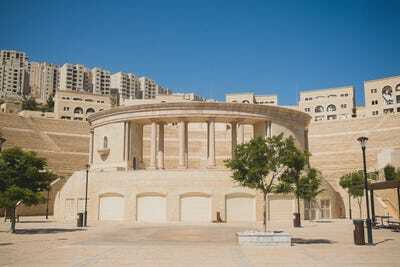 Rawabi has suffered numerous setbacks during construction that ballooned its cost from the original estimation of $US750 million. 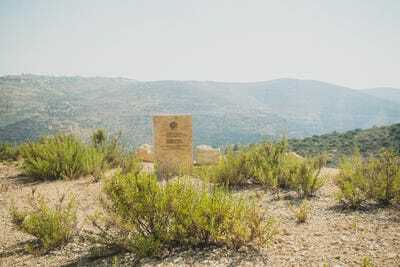 While most of the city is in Palestinian Authority-controlled territory, you must pass through Israeli military-controlled territory to get there. 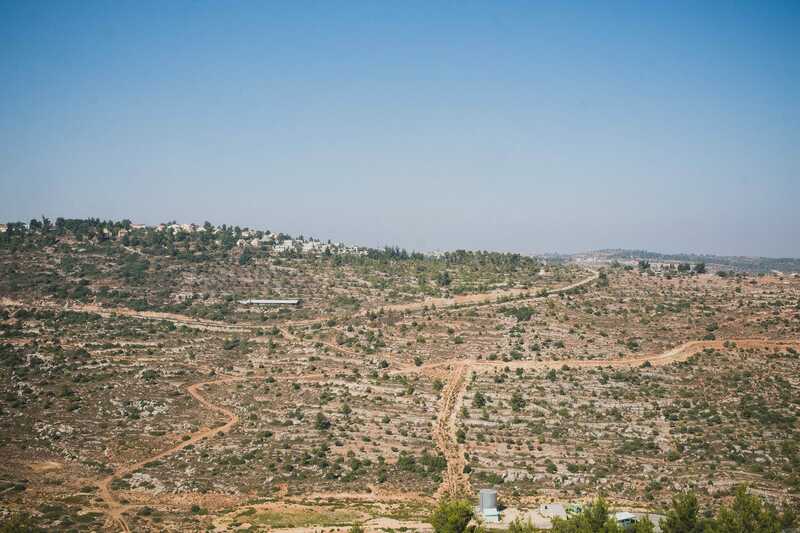 That meant that Masri had to get Israel to build the access road, currently a dinky two-lane road. It took years to obtain a permit. Masri had to also get Israeli approval for water and electricity to the city. The water became an issue that dragged on for years and nearly sunk the project. 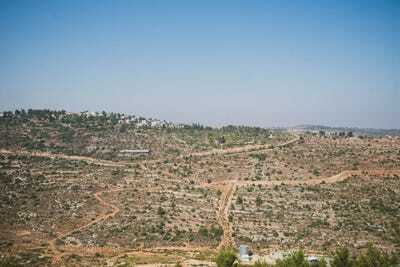 Much of the pushback came from the settler movement, where Israelis establish communities on lands within the Palestinian territories. 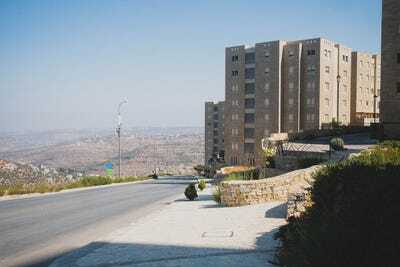 The settlement of Ateret is basically next door to Rawabi. The water issue was resolved in 2015, giving Rawabi a fighting chance of being a success. 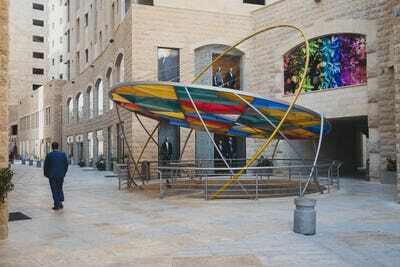 On the day I visited, the neighbourhoods were a ghost town, though the Q Center showed signs of life. 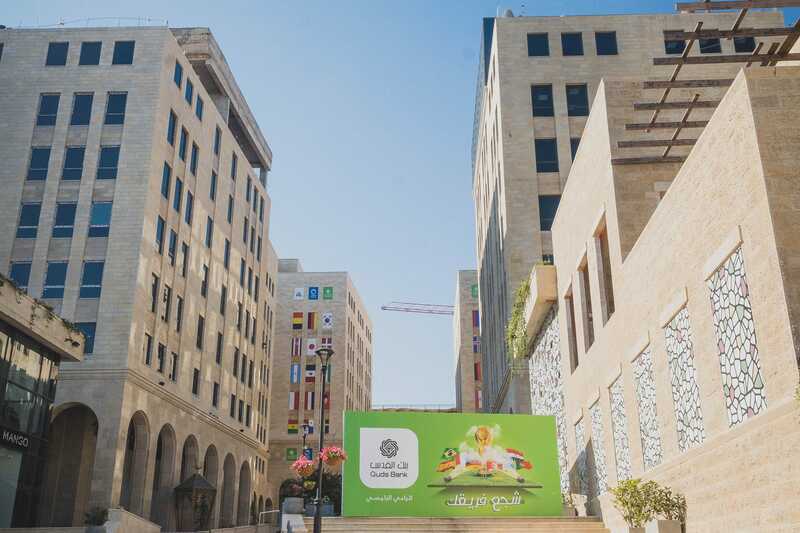 Masri said that the success of Rawabi will rest on whether he can fill the office buildings with companies and, therefore, jobs. The unemployment rate in the West Bank is about 18%. Since construction began, it has created about 10,000 related jobs per year. But Masri’s goal is to draw major tech corporations to create 3,000-5,000 high-paying, permanent jobs. That goal is still a long way off. 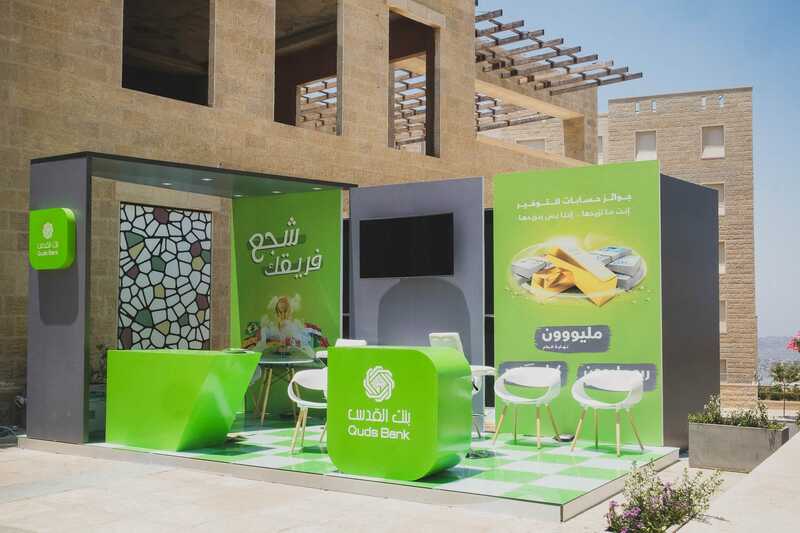 Today, most of the businesses operating in Rawabi are owned by or invested in by Masri. 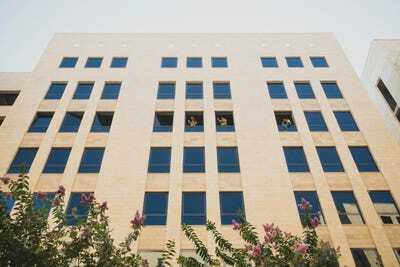 The main company is Asal Technologies, a software development company that outsources developers. 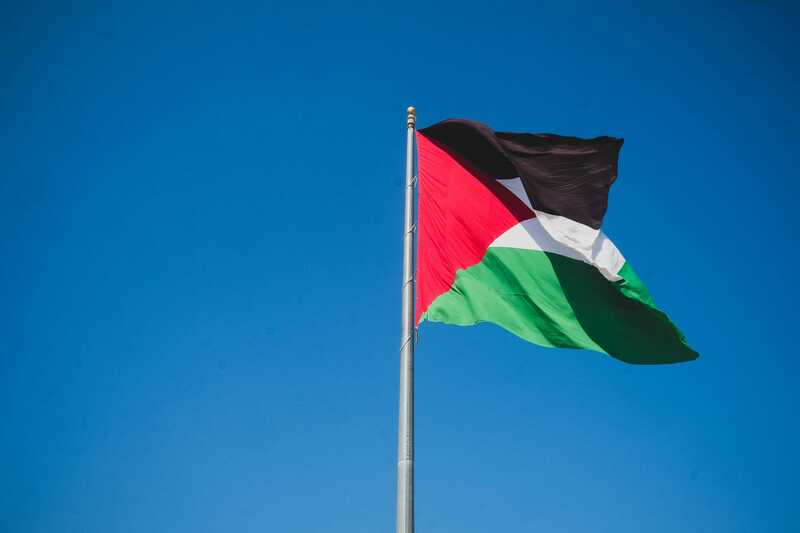 It includes Microsoft, Intel, and Israeli tech giant Mellanox among its clients. 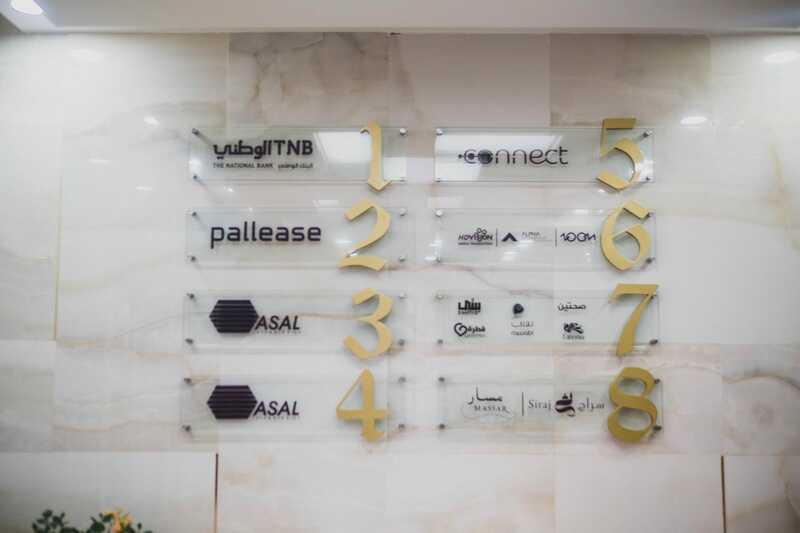 Because Palestine lacks natural resources and is, more or less, at the mercy of the Israeli military when it comes to imports and exports, Masri believes that creating a tech industry is critical to Rawabi and Palestine’s success. 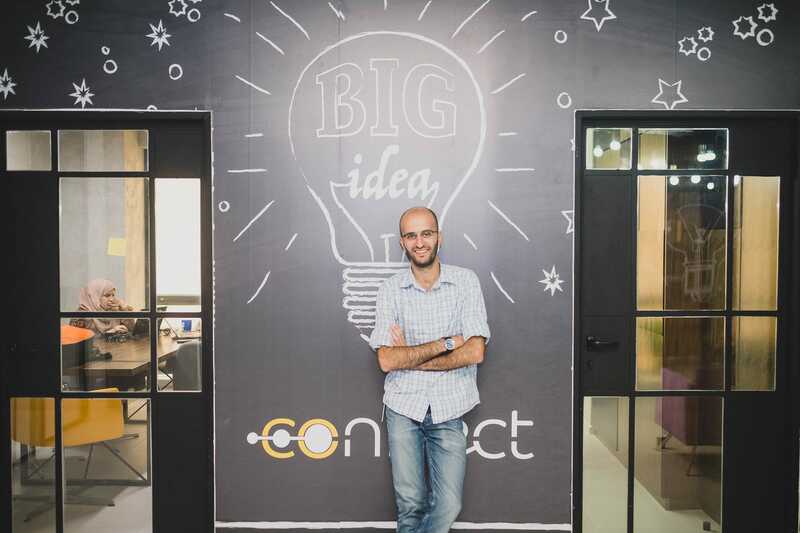 To that end, he’s established Connect, a collaborative workspace and tech incubator run by Sari Taha, previously an analyst at Takwin Labs, a venture capital fund that invests in Arab-led startups. 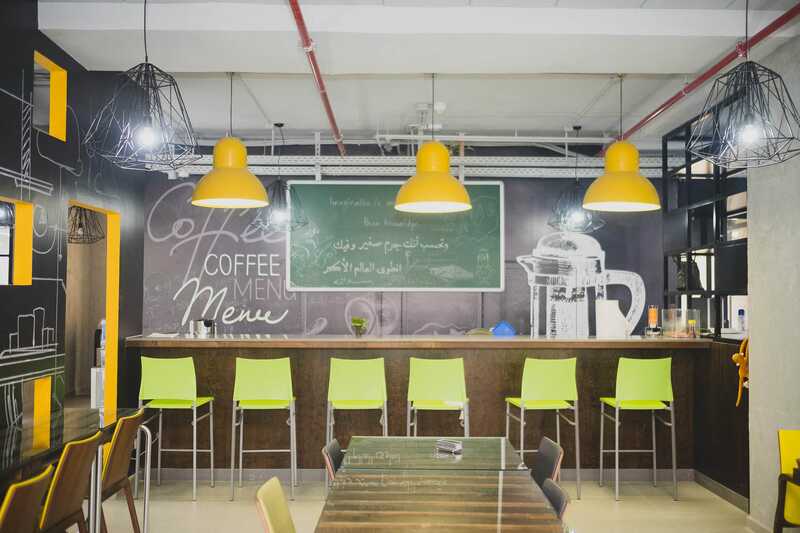 Connect has the vibe and design of a WeWork. 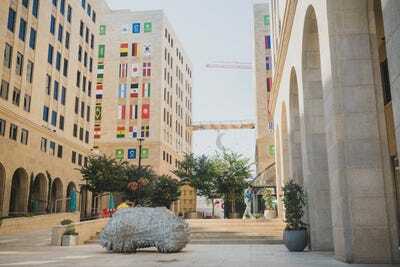 Palestine’s young, highly educated, English-speaking population is a “gold mine for technology companies,” Masri said. There are currently about half a dozen companies operating out of Connect — all with funding from Masri’s venture funds — and a few freelancers. 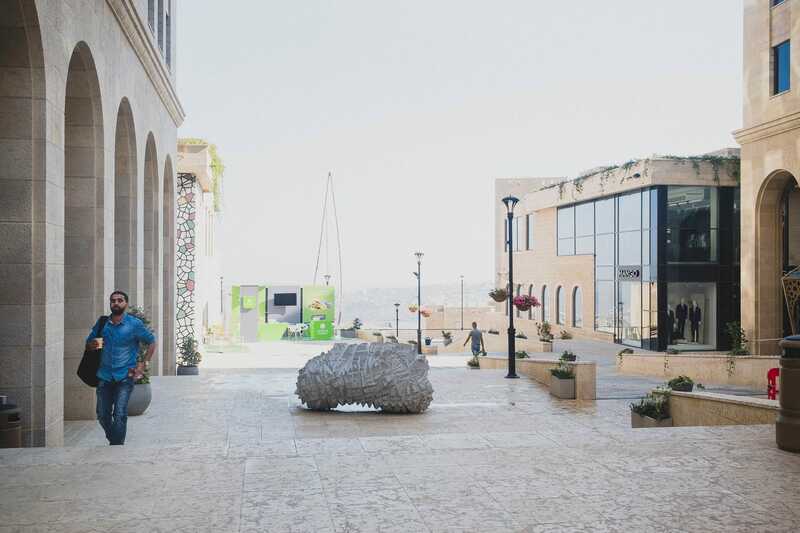 The most successful startup operating out of Rawabi so far is Imagry, a developer that creates software and technologies for autonomous driving. The Samsung-backed startup has offices in Rawabi and Haifa, a coastal city in northern Israel. Harrison Jacobs/Business InsiderA car outfitted with Imagry’s technology. 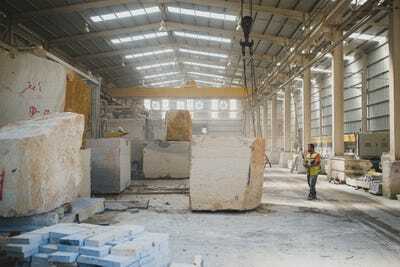 Rawabi and its developers are striving to be forward-thinking. 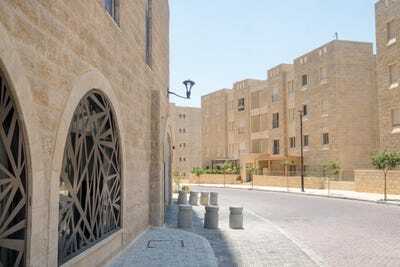 They have set up homeowners’ associations for each neighbourhood with the goal of getting residents to be politically engaged. A city council, which included members of the homeowners associations, was elected several months ago. And while sewage, fiberoptic cables, and gas and water piping were constructed underground and out of sight, the buildings have solar panels and rain harvesting systems for sustainability. And the developers have pushed to create a cultural life and a community that can endure with culinary events, weekly training courses, a mini-business degree program, and public lectures. 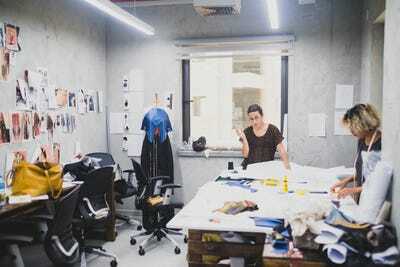 Connect, the tech hub, is currently hosting two French clothing designers who are working with two Palestinian designers for a December fashion show. The success of Rawabi will rest largely on Palestinians’ interest in the lifestyle that the city is selling and whether Masri can bring in the high-paying tech jobs he has called for. Time will tell on both of those. 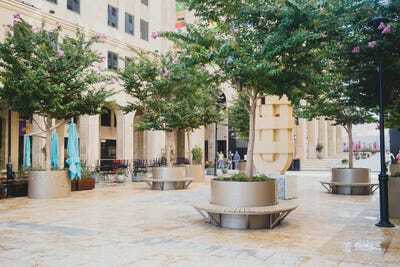 For now, the city is still a green sprout in the desert.